Barack is a typeface created by Ekke Wolf and published by URW++ in 2012. It’s the new hand-drawn typeface by Ekke Wolf. 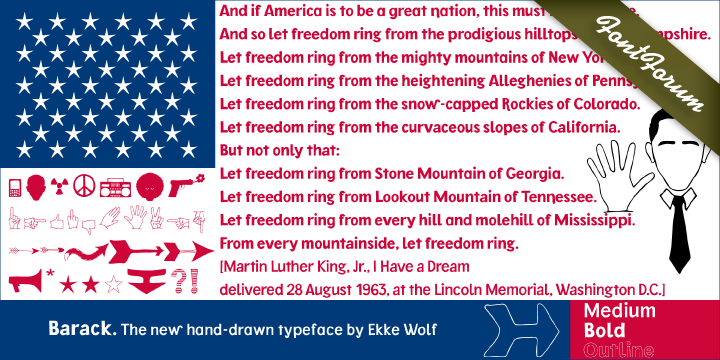 A font description published on Saturday, November 3rd, 2012 in Fonts, URW++ by Alexandra that has 2,825 views.